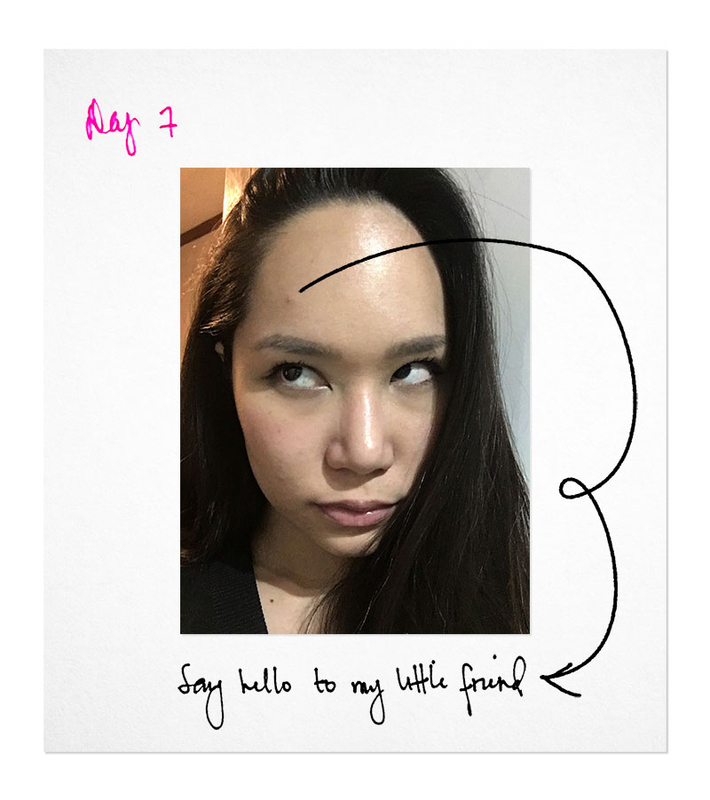 Coming across someone’s sheet mask selfie, my mind doesn’t automatically go, “Pah! Wellness lie!” Rather, I think: “I wonder if that mask is any good.” I then do a little sleuthing on the good stuff, look up reviews and see if I want to give that product a go, too (like a true sucker for sheet masking would). Since adopting a multi-step K-beauty routine, I’ve made it a point to incorporate a sheet mask into my skincare regimen. At times I’d sit out the moisturizer or skip the step with the ampoules/serums, but the sheet mask would be a constant, a fixture that has now taken over the sliding compartment of our fridge where fresh produce is supposed to go. I’ve learned via trial and error, that, with my skin, sheet masking once a week works fine. Thrice a week, meanwhile, works great when I feel my skin needs the reinforcement. Given this level of commitment, I do understand what the fuss is about. 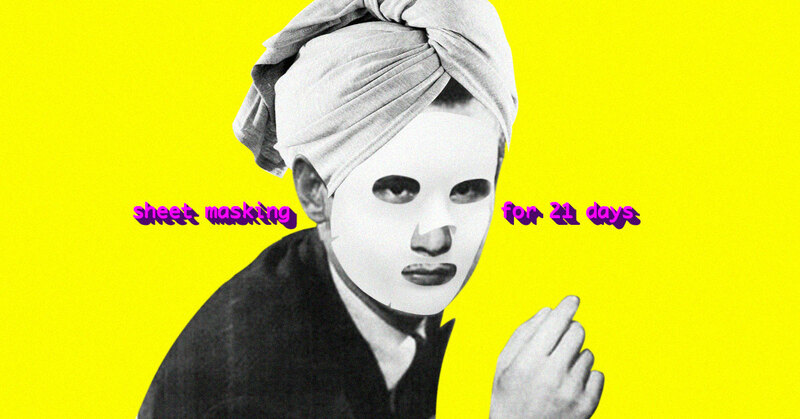 The right sheet mask is a godsend and the experience of sheet masking, a ritualistic pleasure. Amazing skin transformations are tied to the habit, too. Because in that brief skin-to-sheet moment, a potent dose of active ingredients deeply penetrates the skin (enter: promises like “achieve a youthful glow” and “the secret to a super clear complexion”). True, there are those fortunate enough to achieve the two and it’s no wonder that those who do swear by sheet masking are unapologetic about it. Taking the hype next-level, there are beauties like actress Michelle Yeoh who treat the sheet mask like the new multivitamin. “One thing I used to be not very good at it, but I realized it makes a heck of a difference: I face mask every day,” the Crazy Rich Asians star once told Elle. Then there’s K-pop star Sandara Park who, like Yeoh, never goes a day without a sheet mask. She says it’s the one skincare product she can’t live without. Even women out of the spotlight believe masking this often is well within reason. For some Japanese and Korean brides, it’s all part of an extensive pre-wedding ritual. I suppose a bride-to-be willing to use an SK-II Facial Treatment Mask every night for 90 nights leading up to her wedding wouldn’t bat an eye at the concept of the daily sheet mask. And even in this version of extreme sheet masking, the skin transformation is still said to be worth the time, money and effort. Rationalized excessiveness in the name of skincare? Consider my curiosity officially piqued. Is frequency––this kind of frequency––the key? 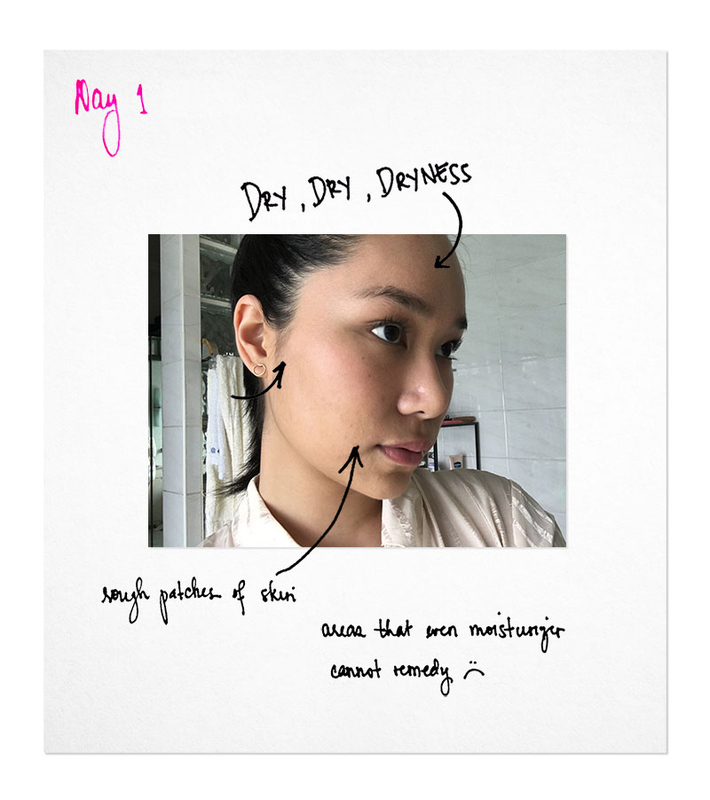 If results of using a sheet mask, as often proclaimed by magazines, beauty blogs and brides, are visible almost immediately post-soak, does this mean sheet masking every day for three weeks straight will bring me closer to a glow as luminous as J.Lo’s? Expectations were evidently highly, but the ride was…something else. When it’s good, it’s really good. For the long haul, I amassed goods from Dr. Morita, an award-winning sheet mask brand from Taiwan that I was curious about for a while. As yet another product spoken highly about in beauty circles, I had high hopes for the variant I chose: the Intense Hydrating Serum Facial Mask (that conveniently comes in single packs at Watsons). Everything about the label appealed to me simply because my primary skin concern is dryness. And with dryness comes the rough texture, the occasional peeling of skin and dullness. Still, my oily T-zone ensures I am not exempt from the occasional breakout. “Intense” and “hydrating” were music to my ears; those two words put together on the packaging left me immediately sold. Thankfully, it was a promise this sheet mask delivered and for P74 apiece, I was impressed. RELATED: Which Dr. Morita Sheet Mask Does Your Skin Need? The most drastic of skin transformations, as far as this little experiment goes, happened in the first couple of days. 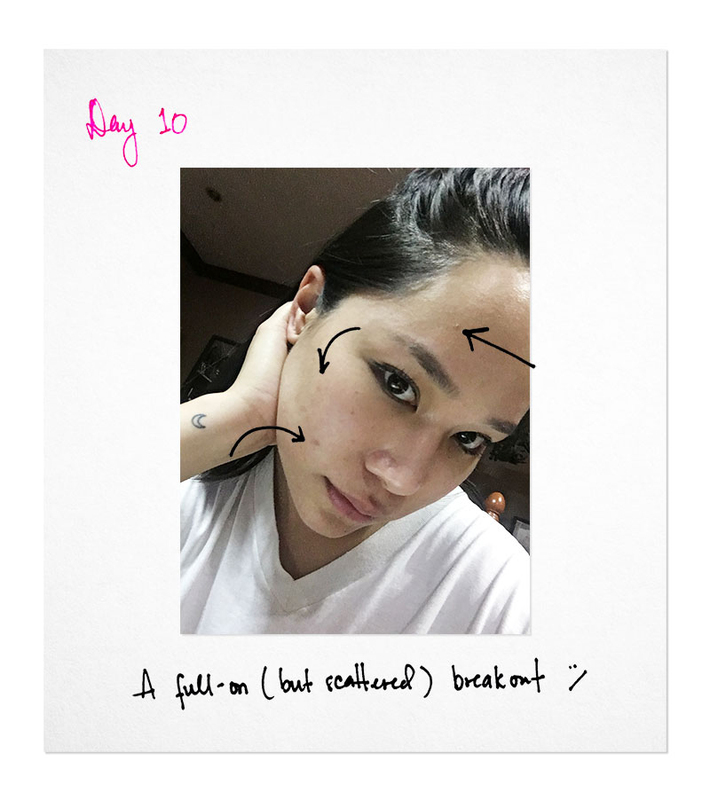 I saw smoother, bouncier skin that always looked energized post-sheet mask. I even sprung for one extra piece for a kind of daytime bonus perfect for a slow morning that calls for a jump-starter. I found that when day masking, everything else––moisturizer, sunblock, makeup––glided on better. The glow was something that carried over, too. Then the glow stopped happening. The texture of my skin was smooth, but no smoother than it was the day before or the one before that. It then dawned on me that I became reliant on this new, remarkable sheet masking ritual and completely neglected to do one other thing essential to great skin: drink water. Backtracking on the days this plateau happened, I realized I was running on two glasses of water at most. A cup of coffee here, a Chai Latte there, but no water. I was dehydrated on the inside, which eventually manifested on the outside. No amount of slathering and sheet masking could fix that. Following my disillusionment, I earned myself a fair warning for the neglect: a pimple appeared on my forehead. And by day 10, I had not one little friend making a cameo on my face, but three––all coming to a head and testing my self-control. At this point, I was a little frustrated by the timing of things and admittedly felt less invested in the sheet mask streak. I was hoping for clear skin by the end of all this and the breakout was a definite setback. 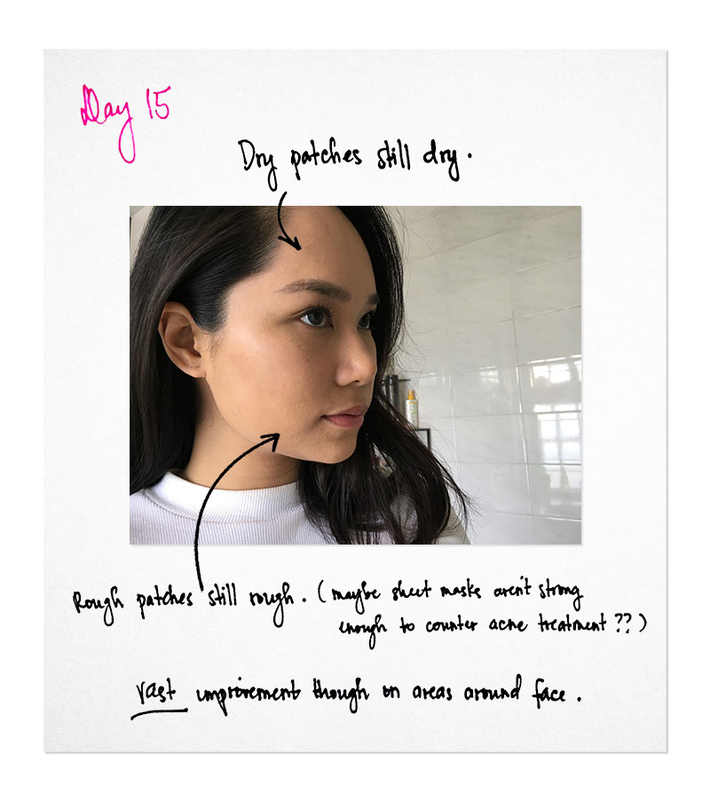 Allowing the nasty zits to run their course, I turned to the trusty COSRX Acne Pimple Master Patches and Mario Badescu’s Glycolic Gel solution. The latter, I knew, would result in flaking and peeling. Would this work with or against the sheet mask variant I’d been using? I would soon find out. It’s all in how the skin bounces back. Just when I thought to expect more of the same––smooth but no smoother, plump but no plumper––I was in for a pleasant surprise. 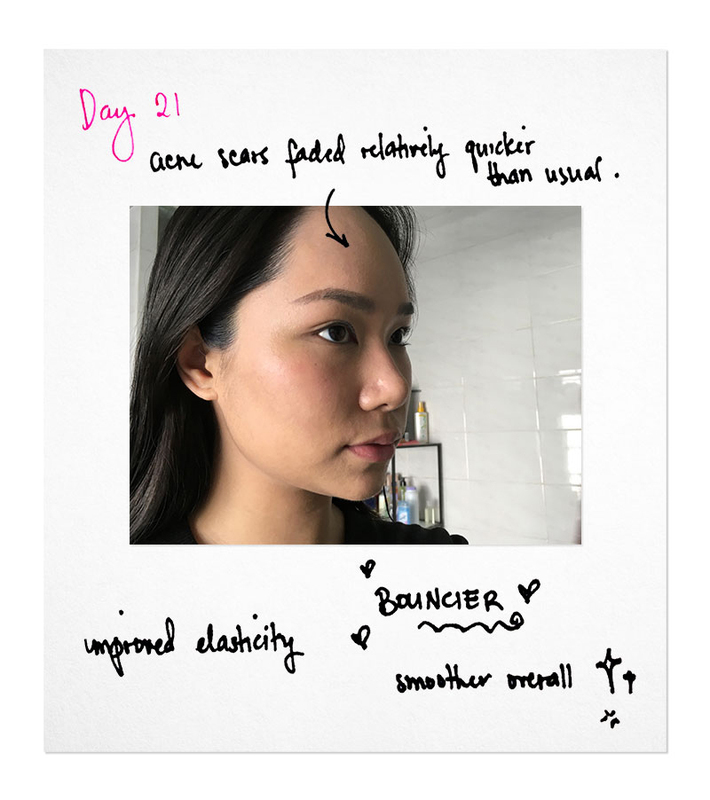 Post-breakout was where I saw this sheet mask routine pay off bigtime. Seeing to it that I drank eight glasses of water a day played a crucial role, too. This part, I cannot stress enough. On my last week, my skin’s texture evened out considerably, hard-to-hydrate areas became smoother and my skin became much softer to the touch. But here’s where I saw the magic work: those nasty pimples healed a lot faster than usual. And those pimple scars I used to have trouble with? They lightened and blurred just as quickly. It was as though the sheet masks allowed me to fast-forward to the good skin days again. A sheet mask a day may not keep all troubles away, but the deed unquestionably makes skin tantrums easier to deal with. They tend to come and go a lot quicker, to boot. That said, did daily sheet masking live up to my expectations? It did, in a way, though the experience was peppered with several “Earth to Nicole” moments. For starters, it was ridiculous of me to hope that a moisturizing sheet mask would proactively target acne. Sheet masks are a godsend, but not miracle workers. There is strength in variety, especially when time is taken to create a sheet mask regimen tailor-made for specific skin needs. Earth to Nicole: a one-mask-solves-all scenario is unheard of. In hindsight, I could have sprung for a green tea mask at the onset, a soothing mask to calm the skin post-breakout and a vitamin C-infused sheet mask to lighten scars afterwards. It was just as ridiculous of me to focus solely on a visual transformation (that mental picture of Michelle Yeoh’s stunning complexion and Sandara Park’s glass skin really did me in at the beginning). If seeing is believing, feeling should be believing, too. And any worthwhile skin transformation, as a nutritionist I later consulted with said, is a combination of healthy eating, committing to staying hydrated throughout the day, sound lifestyle choices and then skincare. Let’s also not discount the costly treatments that only a few can sustain and afford. It’s a handful. So anyone who links the “simple” sheet masking habit to flawlessness is or could be lying through their teeth. As much as I want to see how far daily masking could take me, there’s this final “Earth to Nicole” moment: there is no way I can personally sustain this. My savings and my mother, whose favorite line during this period was: “how on earth is spending P27,000 a year on sheet masks reasonable? !” did knock some sense into me. I mean, I could try…but it’s a lesson I’d rather not learn the hard way. Still, I won’t be raining on the parade of those who swear by daily sheet masking, because I do see how this could work out swimmingly for some people…financials aside and everything. So go ahead, keep calm and mask on.